Add to calendar 2019-05-03 10:30:00 2019-05-03 12:30:00 America/Los_Angeles Senior Scam Stopper Seminar Click here for a flyer about the Senior Scam Stopper SeminarIt’s an unfortunate truth, but senior citizens are considered a vulnerable audience by scammers. Approximately one in five seniors has been a victim of fraud.This FREE seminar will provide both you and your loved ones with important information about how to protect yourself from these kinds of scams. In addition, we will share with you more information about state legislation in areas such as home improvement, auto repair, insurance, identity theft, real estate and more.For more information or to RSVP, please contact Senator Nielsen’s office at 530-879-7424. FRIDAY - May 3, 2019 10:30 a.m. – 12:30 p.m.
It’s an unfortunate truth, but senior citizens are considered a vulnerable audience by scammers. 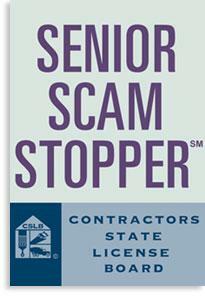 Approximately one in five seniors has been a victim of fraud. This FREE seminar will provide both you and your loved ones with important information about how to protect yourself from these kinds of scams. In addition, we will share with you more information about state legislation in areas such as home improvement, auto repair, insurance, identity theft, real estate and more. For more information or to RSVP, please contact Senator Nielsen’s office at 530-879-7424. Sponsored by Senator Jim Nielsen, Assemblyman James Gallagher, and the Contractors State License Board.